Add twenty new anomalies that include new ways to gain or lose money, new items to help boost civilization abilities, and some items to add some new flavor. 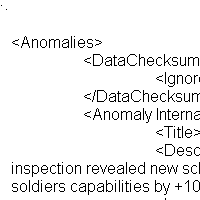 All anomalies are listed in the readme file. EDIT: This mod uses existing pics to keep the file size to an absolute minimum.